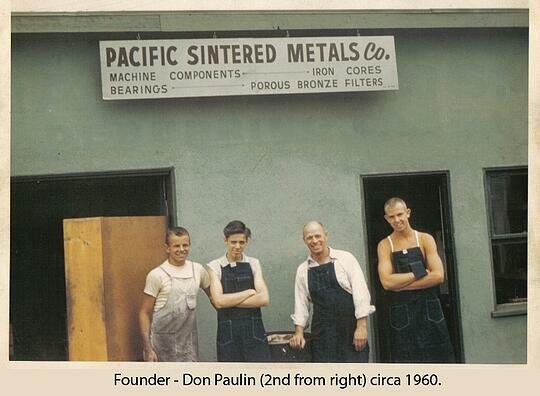 Since 1956, PSM has been a family business centered on one creative vision . . . to provide the widest range of solutions in parts fabrication through Powder Metal technology. Today, PSM's headquarters sit on a seven-acre campus in the heart of Los Angeles. From its humblebeginning, PSM took advantage of breakthrough technology in metal fabrication and helped develop the technology into the powerhouse process it represents today. Today, PSM manufactures a wide variety of precision-engineered P/M parts through its eight operating divisions. PSM has become a world leader in design and engineering solutions for powdered metal fabrication. We have learned how to take advantage of every related technology, how to utilize a broad range of options to bring our customers the rarest of all commodities in production: peace-of-mind. That's why smart engineers we've worked with over the years know that by bringing their challenges to PSM, their visions have a better chance of seeing daylight. They recognize that if anyone can find a solution, it's PSM. 2003 PolyAlloys Injection Metals - Formed to meet our customers needs for more strength and higher part complexity with the metal injection molding process. 2018 PMES acquires W. M. Gulliksen Manufacturing and merges it into PMES’ plastics operation. Founded in 1928, W. M. Gulliksen is one of the most established plastic molders on the east coast specializing in compression and transfer molding of thermoset materials.